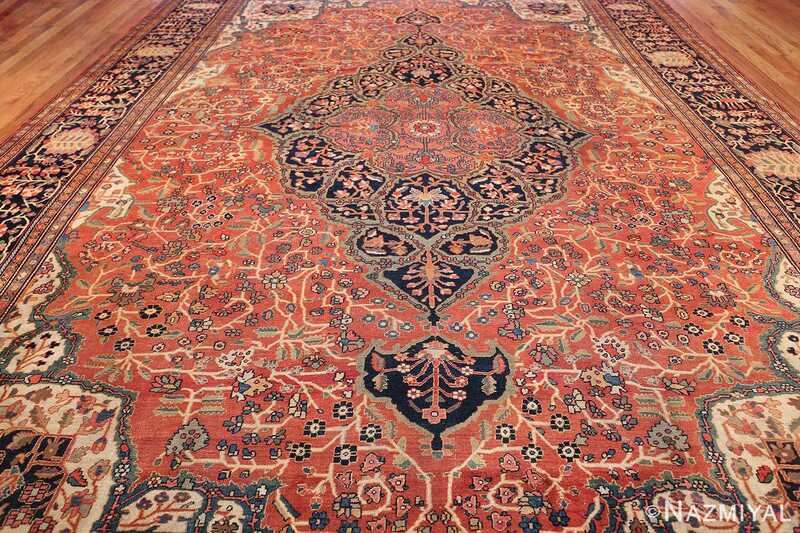 Magnificent And Extremely Fine Large Rust Color Antique Persian Sarouk Farahan Rug, Country of Origin / Rug Type: Persian Rug, Circa Date: 1900 – This large rust background antique Persian Sarouk Farahan rug is a classic example. 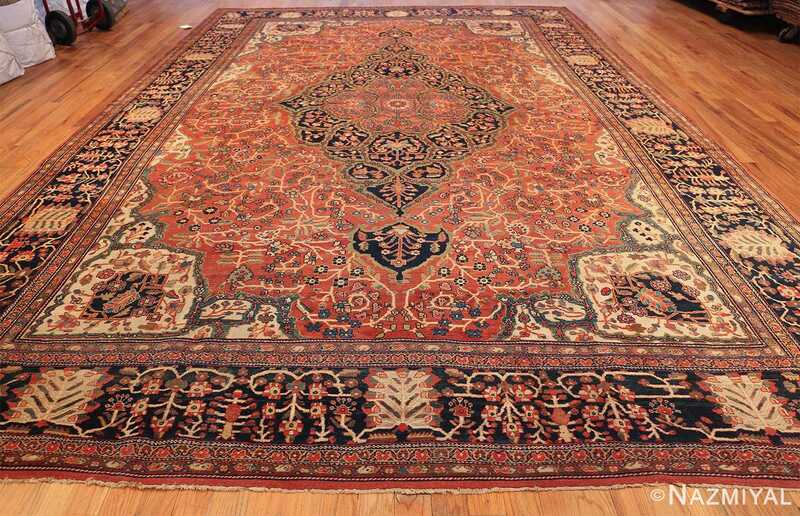 The intricate designs and beautifully saturated colors, combined with the multiple borders that outline this Persian rug, create a breathtakingly artistic piece with a clear sense of transitions among each and every element. 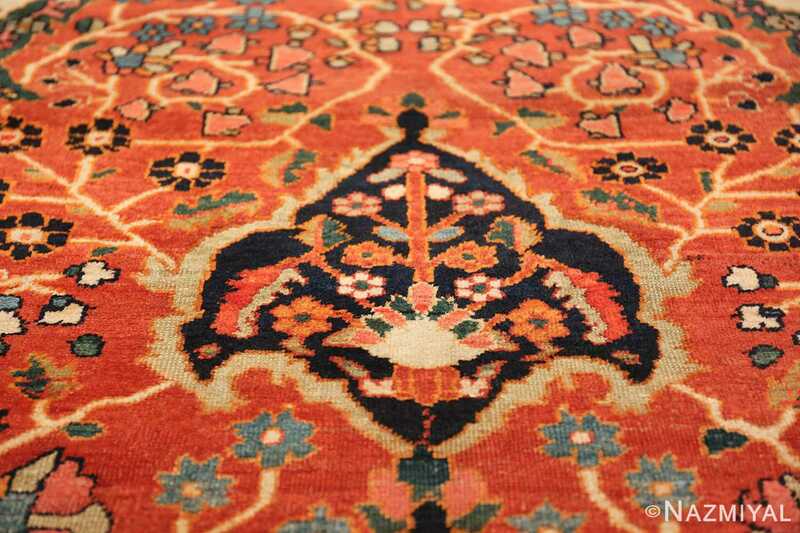 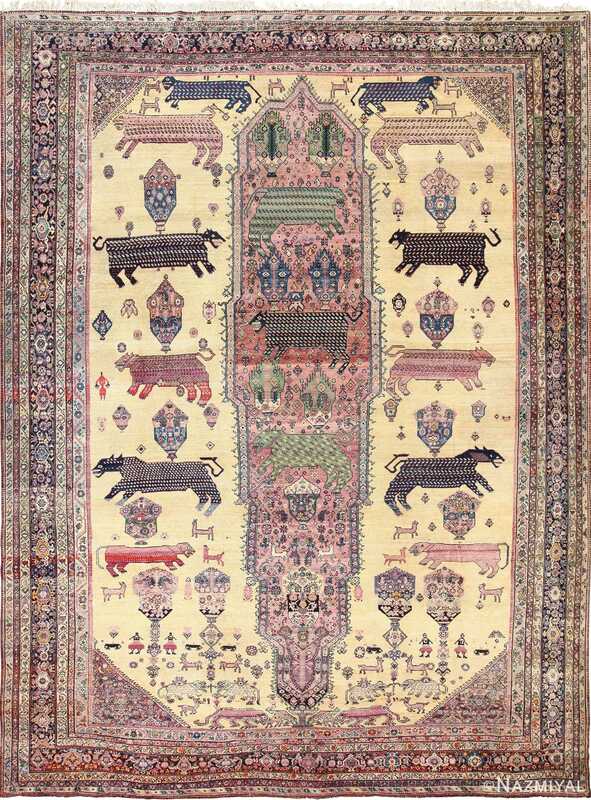 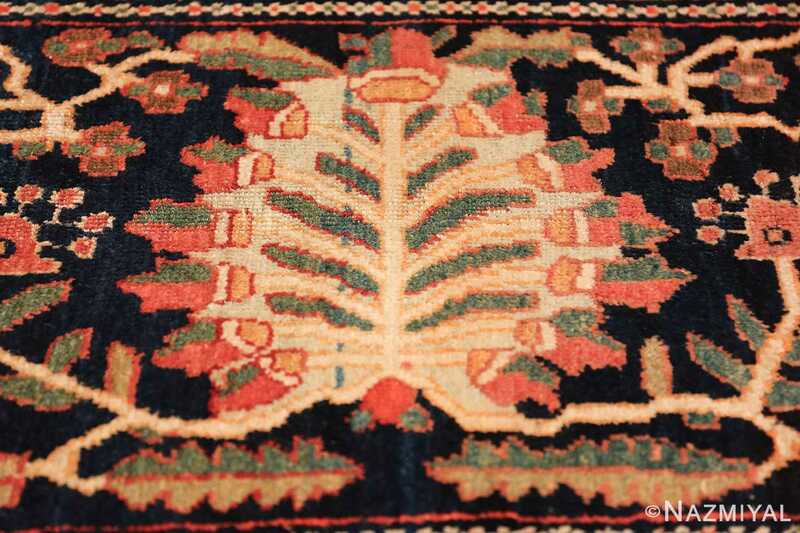 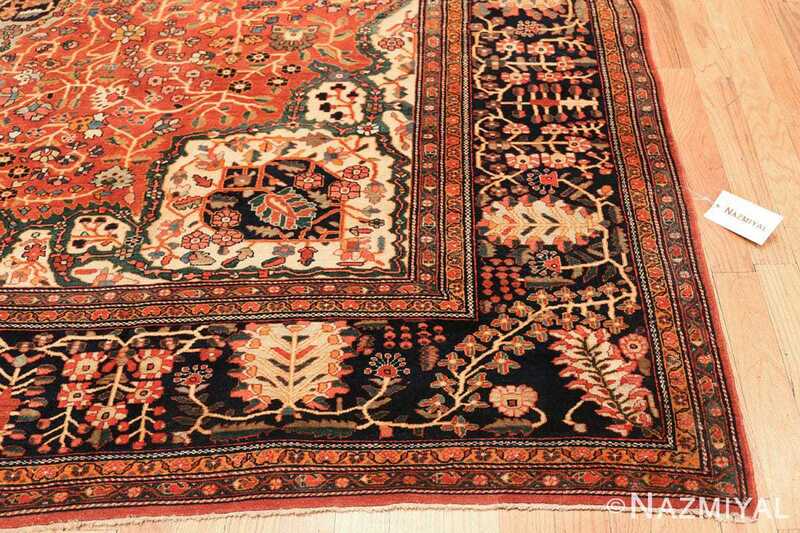 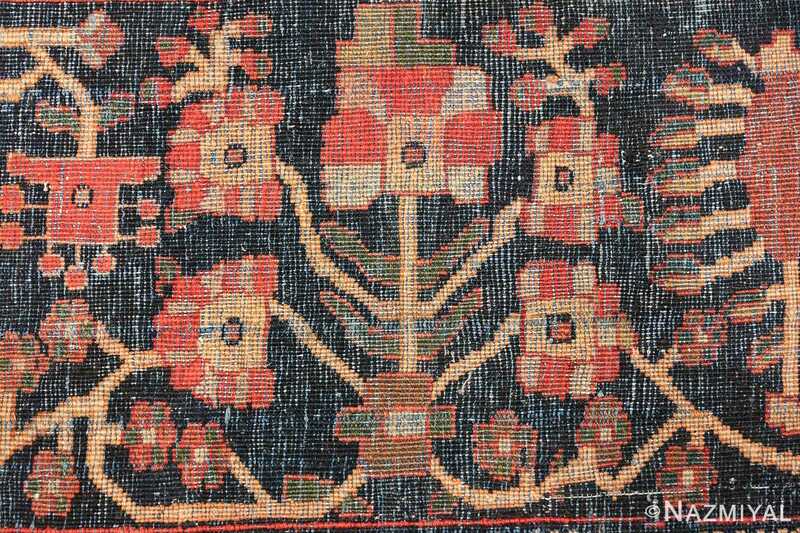 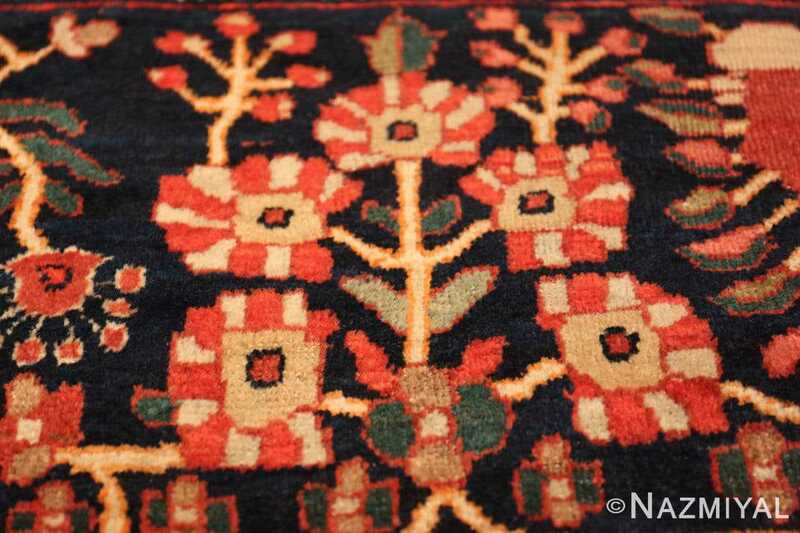 The center of the antique Oriental rug boasts and magnificent vine scroll design. 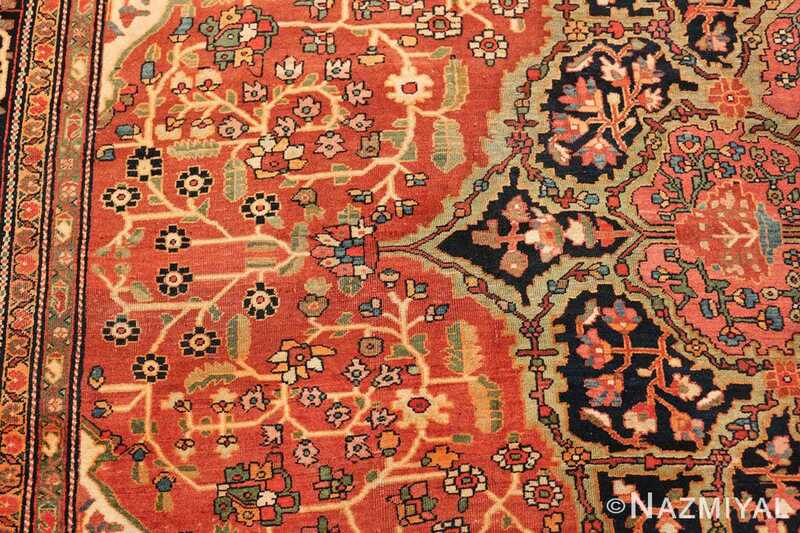 These patterns seem to be radiating outward towards the rug’s borders. 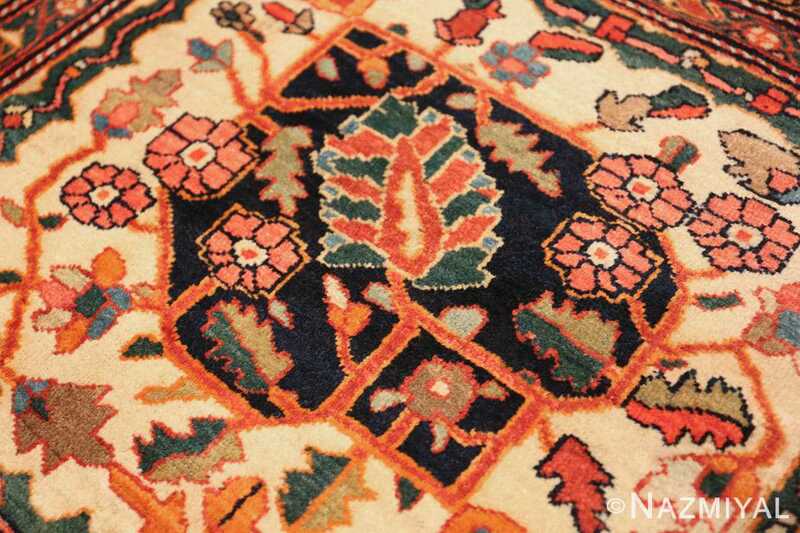 This gives the rug a strong sense of movement, elegance and energy. The rust color background of the field itself is hemmed by light ivory background corners. 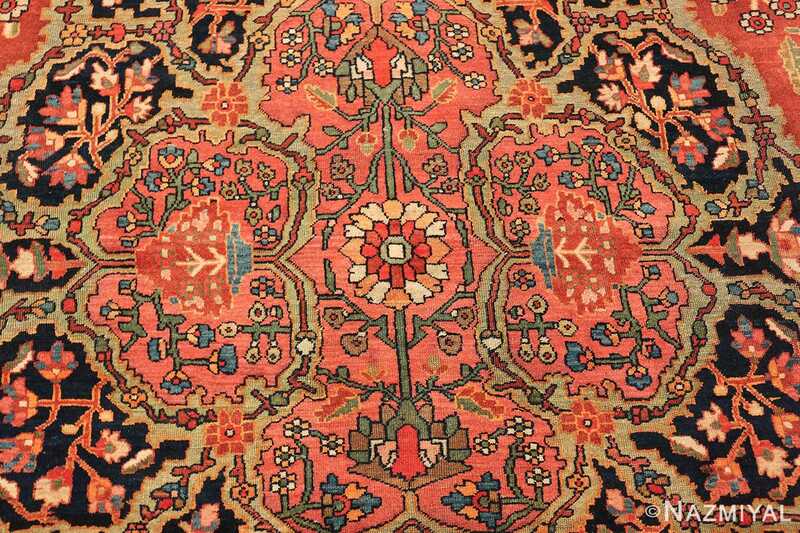 These corners are adorned with the same floral motifs as the field, just that in this section, the ivory patterns have chanced to rust. 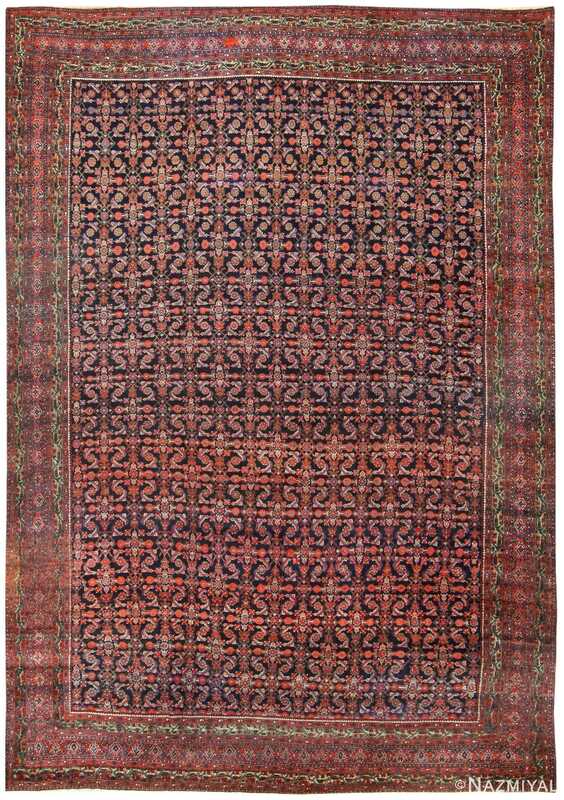 This inversion of the colors allows the patterns to pop and shine while maintaining a sense of balance and cohesiveness. A dark blue floral medallion is outlined in a light green and encircles a beautifully rendered coral colored center. 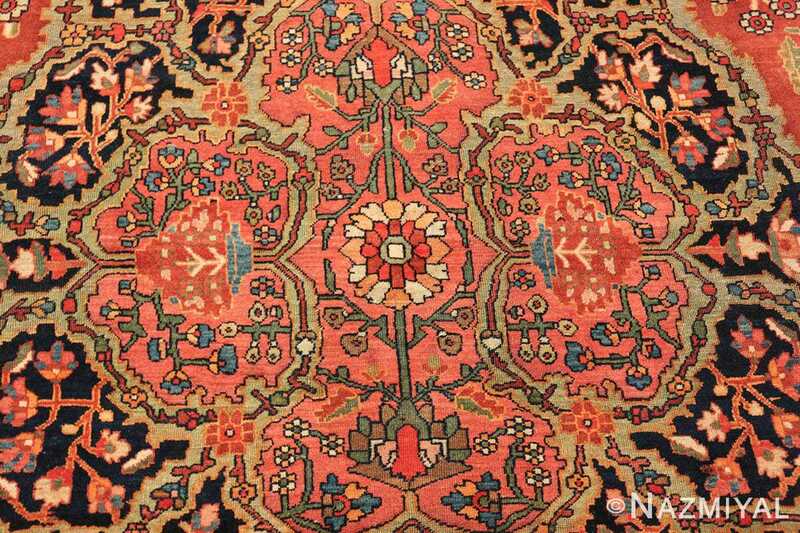 All attention is eventually focused on the center most point of the rug, which is the excitingly juxtaposed center most single flower. 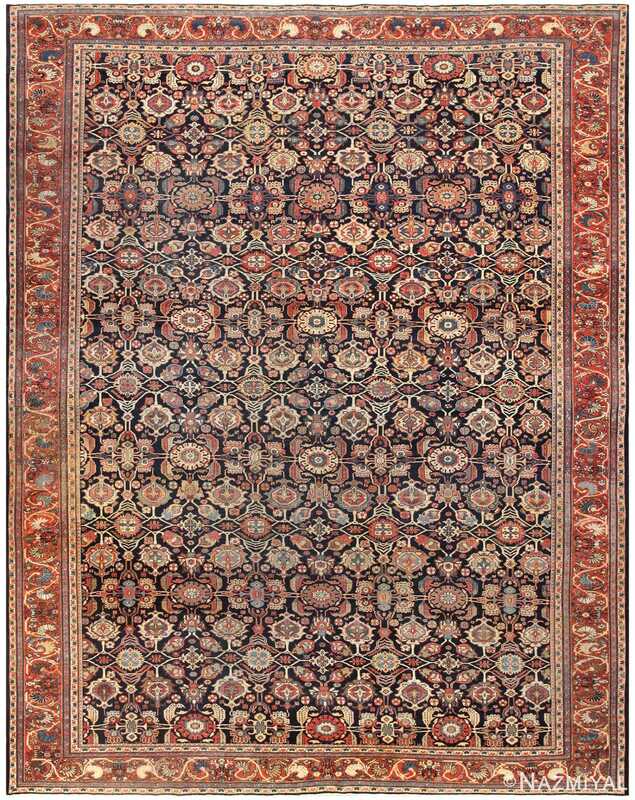 Within all of these layers of background colors, incredibly intricate patterns intertwine across the surface of the rug. 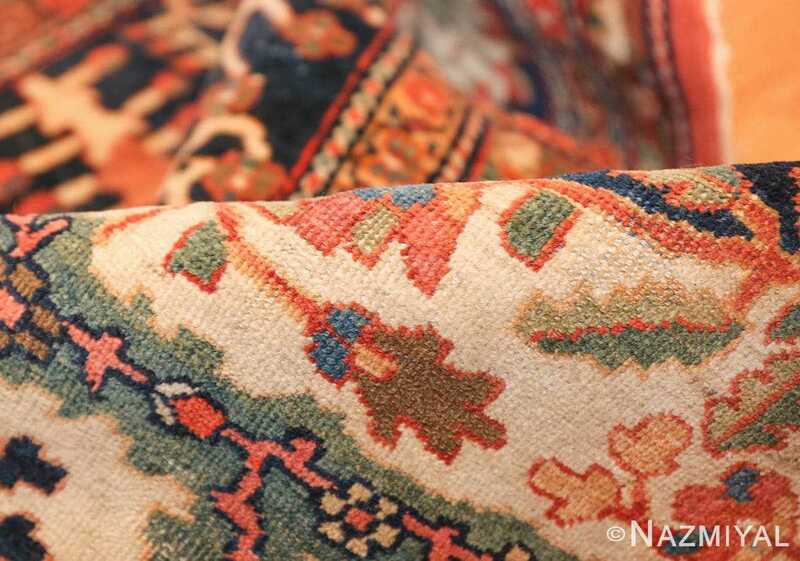 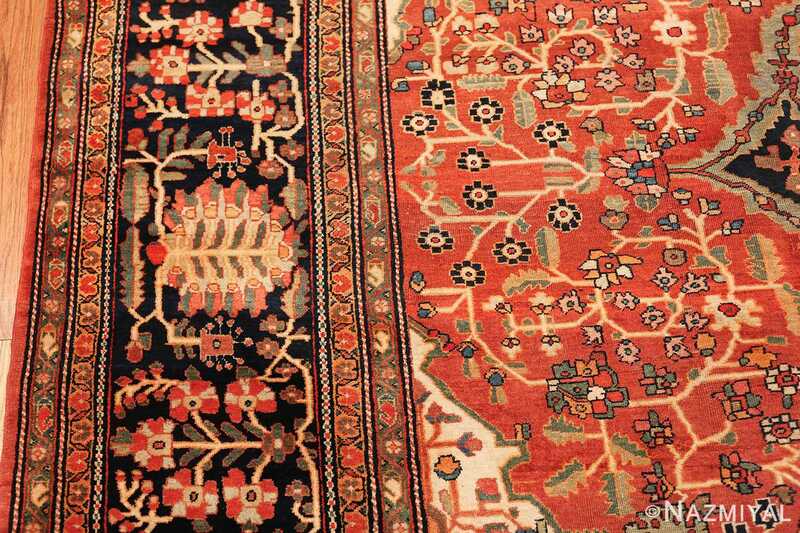 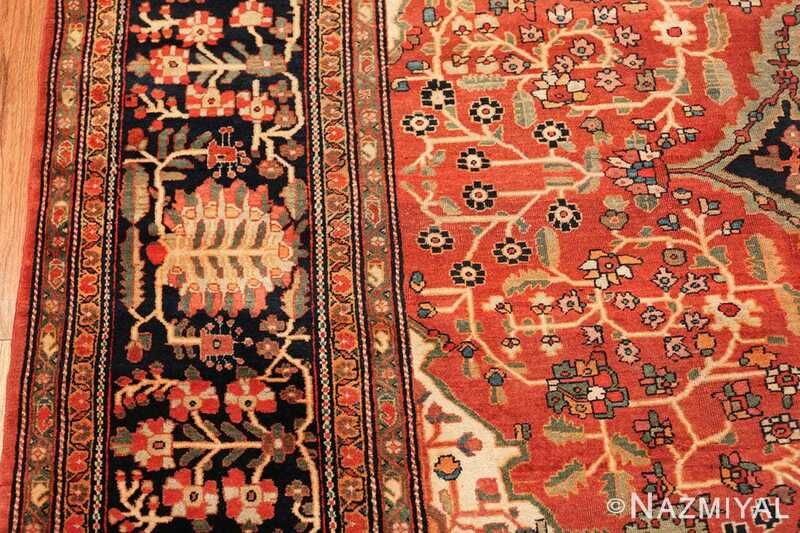 When viewed separately, there is a great difference between each area of the antique rug. But when viewed as a whole, the color scheme and repetitive patterns make this rug markedly cohesive and balanced in both design and color. This is the mark of the masterful Persian rug weaver who created this magnificent and breathtaking example. 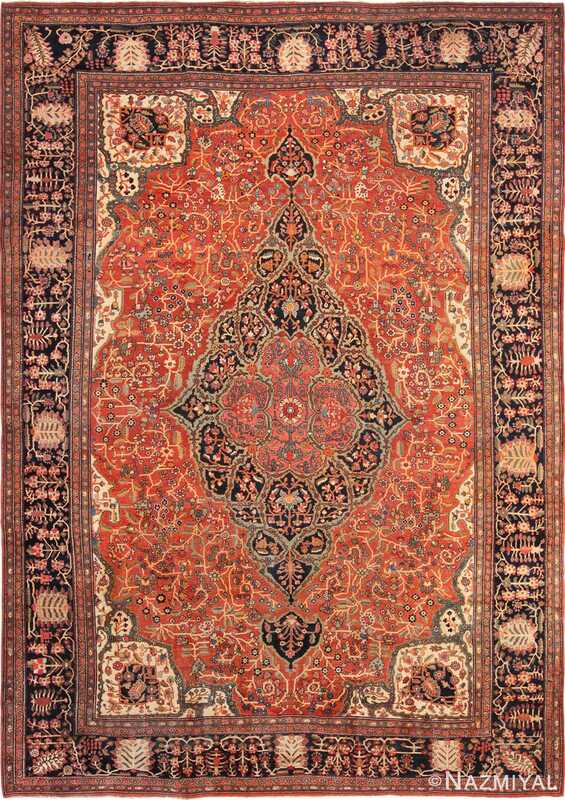 This classic rust color Antique Persian Sarouk Farahan Rug is a remarkable example that could work in almost any interior design approach. 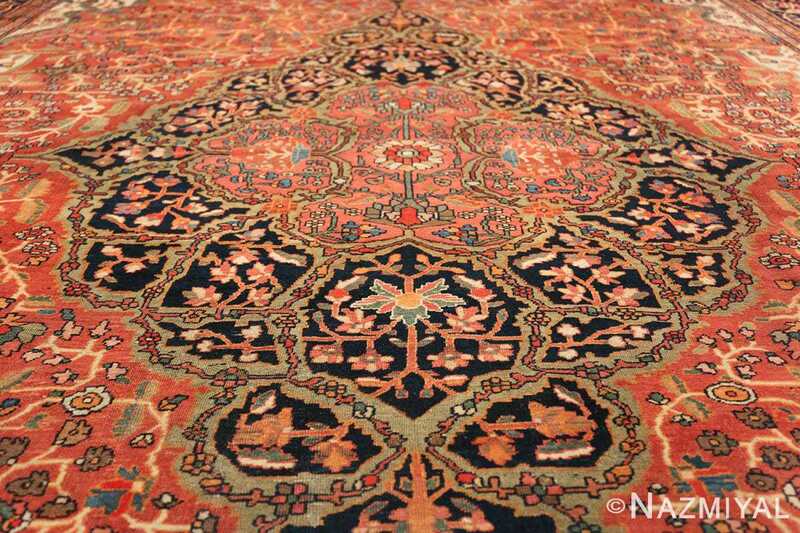 It is the kind of antique carpet that will enhance everything around it while adding a scene of authenticity and timeless beauty.